Can Arsenal Beat the Odds for a Europa League Final Place? With just over 10 minutes left to play in the first leg of their Europa League semi-final with Atletico Madrid, Arsenal were in firm control of the tie. Their opponents at the Emirates Stadium had been playing with 10 men ever since the opening exchanges, when Sime Vrsaljko was dismissed for two bookable offences. The Gunners found goalkeeper Jan Oblak in brilliant form for most of the match, but Alexandre Lacazette’s effort soon after the hour mark gave them a crucial one-goal advantage both on the night and in the tie overall. Chances were few and far between for Atletico for the majority of the game, but a defensive mishap from Laurent Koscielny allowed Antoine Griezmann to level the scores in the 81st minute. It was a moment which completely changed the complexion of the semi-final, with Atletico now favourites to advance to the showpiece event in Lyon in two weeks’ time. Given the nature of Diego Simeone’s side’s home record this term, it is difficult to envisage the La Liga outfit slipping up in front of their own fans on Thursday night. Atletico have lost just twice at their new Wanda Metropolitano home in 2017/18: a 2-1 defeat by Chelsea in the Champions League in September, and another 2-1 reverse at the hands of Sevilla in the Copa del Rey four months later. 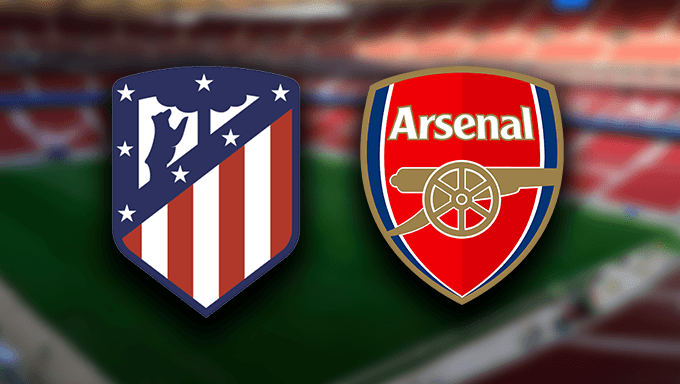 Football betting fans should keep in mind that the Colchoneros have been held to a draw on six occasions in all competitions, but the result each time has either been 0-0 or 1-1 – in other words, scorelines which would not be sufficient for Arsenal to progress in 90 minutes. It is also worth taking note of Atletico’s defensive record this season. No team in La Liga has conceded fewer goals than Simeone’s, while across all 54 matches in domestic and European competition, the capital club’s backline has been breached on just 32 occasions. Atleti have kept 31 clean sheets in that time, 19 of which have come at home against opponents such as Roma, Real Madrid, Sporting CP, Sevilla and Valencia. Even more impressively, they have conceded only four times in their 17 La Liga encounters at the Wanda in the current campaign, and only once since the start of December. All of which points to a tough evening for Arsene Wenger’s charges, who will need to find the back of the net if they are to book a spot in the final against either Red Bull Salzburg or, more likely, Marseille. Arsenal will probably stick with the 4-3-2-1 formation they employed in the first leg, with Aaron Ramsey afforded the license to break forward and join the attack in a box-to-box role, while creator-in-chief Mesut Ozil will be relied upon to supply the ammunition for lone striker Alexandre Lacazette. It will not be easy for the likes of Lacazette and Ozil to find space against a side like Atletico, though. Simeone’s men are exceptional at remaining compact out of possession, squeezing the gaps between the lines and denying their opponents’ most inventive players room to operate. Central defensive duo Jose Gimenez and Diego Godin are both masters at penalty-box defending, and Atletico will probably be happy for Arsenal to control the ball while they in turn control the space. Transitions and set-pieces will be key for the Colchoneros, with former Chelsea striker – and regular Arsenal nemesis during his time in the Premier League – Diego Costa expected to partner Griezmann up front after recovering from a hamstring injury. Wenger’s recent announcement that he will depart the Emirates Stadium at the end of the season has seen many players, fans and neutrals express a desire for Arsenal to give him the best possible send-off by lifting the Europa League trophy for the first time in the club’s history. Griezmann’s goal towards the end of the first leg makes that an improbable objective now, though, and it is hard to look past an Atletico victory this Thursday. BetBright offer 7/4 on a home triumph to nil, which looks to be good value given Simeone’s side have already achieved that 25 times in all competitions this term, while reasonable prices on a 1-0 defeat for Arsenal are provided by both 888sport (6/1) and Black Type (11/2). Another wager worth considering is Costa to find the net anytime; the Brazil-born Spain international regularly caused the Gunners defence problems during his time at Chelsea, and 888sport’s odds of 31/21 could be worth taking up.